One shot to clear the demo in 30 minutes. True Achivements has discovered a Microsoft Store description for a 30-minute “1-Shot” demo for Resident Evil 2 due out at the beginning of the year. This specially tuned demo allows you to experience the newly reimagined Resident Evil 2, but be warned: whilst you can continue as many times as you like after dying, you’ll only have 30 MINUTES to complete the demo. Take in the horror atmosphere at your own pace, or make a desperate dash to solve all the puzzles Raccoon Police Department has to offer? The choice is yours! Originally released in 1998, Resident Evil 2, one of the most iconic games of all time, returns completely reimagined for next-gen consoles. 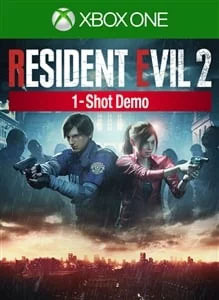 – Play individual campaigns for both Leon Kennedy and Claire Redfield using an all new 3rd person view – Explore the zombie infested areas of Raccoon City, now stunningly re-built using Capcom’s proprietary RE Engine. – New puzzles, storylines and areas Note: This demo is available until 1/31/2019. You must be signed in and have an active internet connection to play.